Matthias studied Biology in Darmstadt and Frankfurt/Main. During his PhD at University College London from 1994-1997, he applied homologous recombination and the Cre-loxP technology to generate NMDA receptor knock-in mutants. He then joined the lab of Heinrich Betz at the Max-Planck Institute for Brain Research in Frankfurt/Main to investigate the synaptic anchoring of glycine and GABA-A receptors via gephyrin. In 2002 he was appointed as an independent research group leader at the Center for Molecular Neurobiology (ZMNH) Hamburg. Here, he focused on the trafficking of synaptic receptors and associated proteins during plasticity. 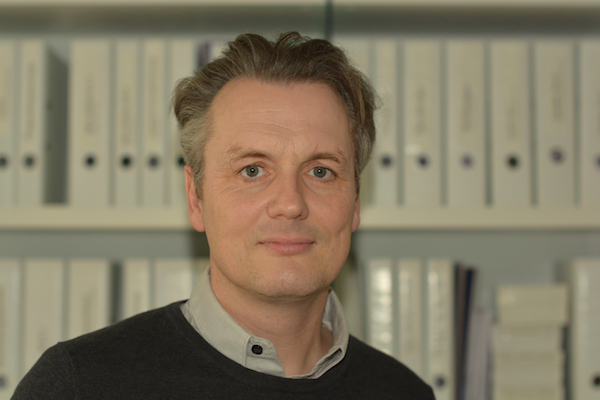 Since 2010 he is full professor and head of the UKE department of Molecular Neurogenetics, located at the ZMNH. In 2012 he declined a call of the Medical University of Vienna. Matthias has a special focus on molecular and cell biological techniques in combination with mouse genetics and mouse behavioral analysis. He was elected as deputy director of the ZMNH and became speaker of the DFG-funded research network FOR2419 in 2016.